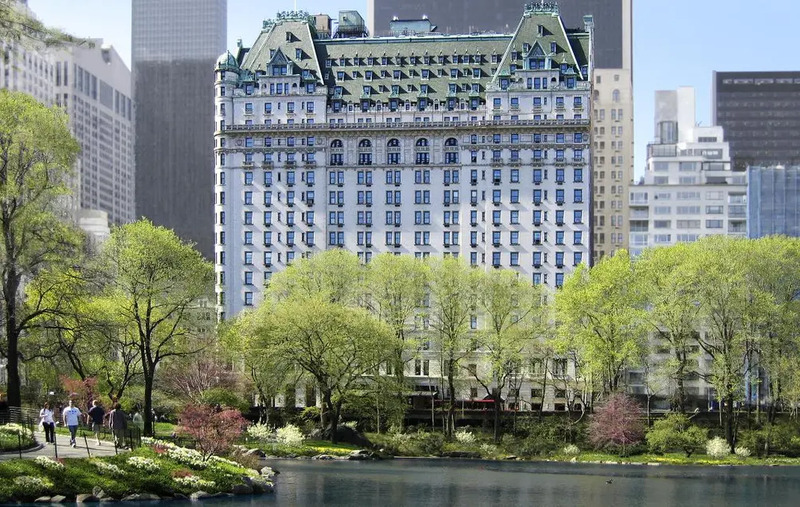 Carter Horsley, former reporter at the Times, revisited our list of the "Top 10 Most Prestigious Buildings in New York City." 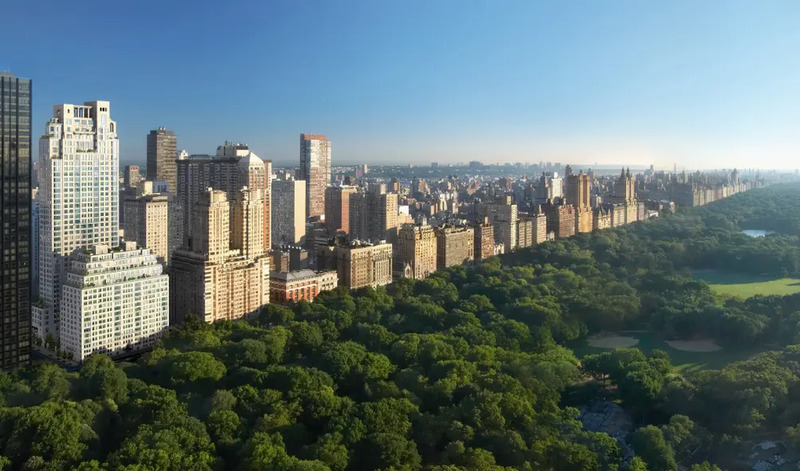 The updated list shows that the wave of the super high-end real estate that has washed ashore over the last decade has usurped the Trump buildings and the Residences of the Ritz Carlton on Central Park South. 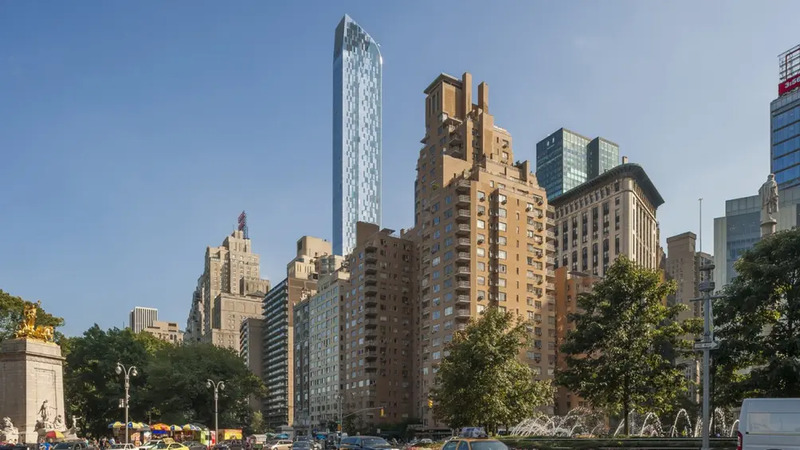 Even still, converted turn-of-the-century gems such as The Plaza and the Woolworth Residences make strong showings, while three of the newest towers unabashedly pay homage to pre-war stylings. Putting architecture aside, all of the buildings rise in enviable locations, offer magnificent views, and are unequivocally “full-service.” While some older buildings may no longer have the complete laundry list of gadgets and amenities, there is little doubt that their residents, when home, are pampered. 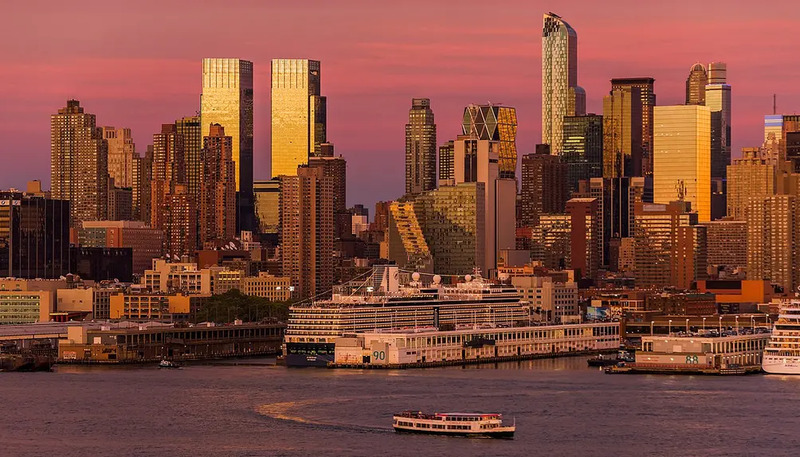 This 1,004-foot-tall mixed-use building is notable for its curved rooflines, its wavy canopies, its 210-room Park Hyatt Hotel, its 65 rental apartments and 92 condominium apartments. 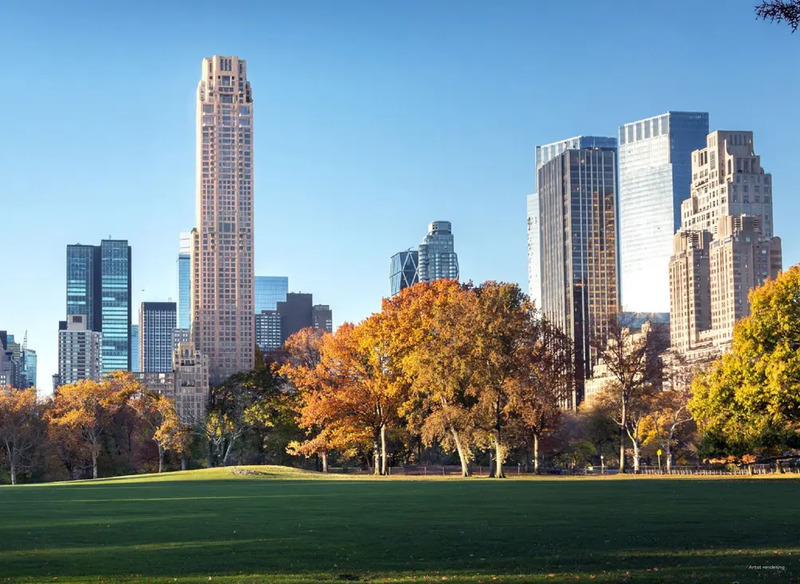 The tower, which was designed by Christian de Portzamparc for Extell Development, was the first of the city’s “supertalls” on what came to be called “Billionaires’ Row” along the 57th Street corridor. It has a mottled blue fenestration pattern and is across from Carnegie Hall. 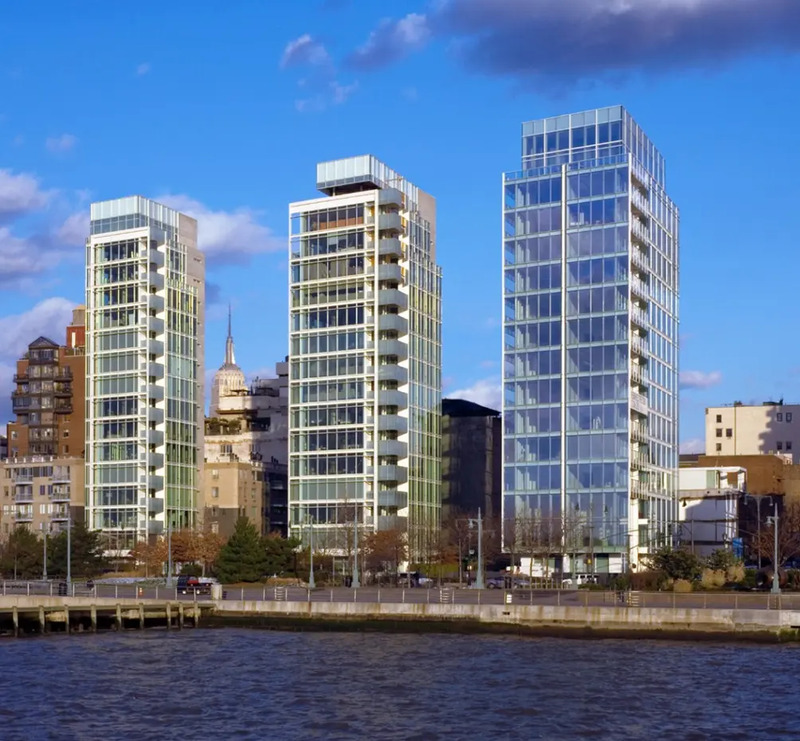 The southernmost of the trio of clean-cut, modern, mid-rise towers facing the Hudson River in the West Village was designed by Richard Meier, who also designed its interiors. It has views of Lower Manhattan that the other two buildings do not have and the trio did much to enhance the desirability of downtown’s mostly landmark Hudson River neighborhoods and for kindling in 2005 a new era of architecturally interesting residential projects in the city that would blossom on Bond Street and around the High Line in Chelsea. Richard Born, Ira Duckier and Charles Blaichman build the first two buildings of this trio and this was developed by Izak Senbahar and Simon Elias. The apartments in the north tower of what was originally the Time Warner Center designed by David Childs of Skidmore, Owings & Merrill for The Related Cos., are in the city’s best mixed-use complex. 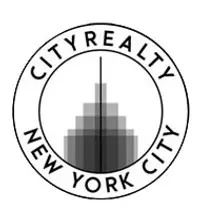 The complex has a sumptuous Mandarin Oriental Hotel, a large jazz facility for the Lincoln Center for the Performing Arts, CNN TV studios, the best Whole Foods store in the city, and many other stores. This tall residential skyscraper a bit north of City Hall and west of Foley Square is noted for its dramatically jutting form near its top and the large silver globular sculpture by Anish Kapoor at its base. 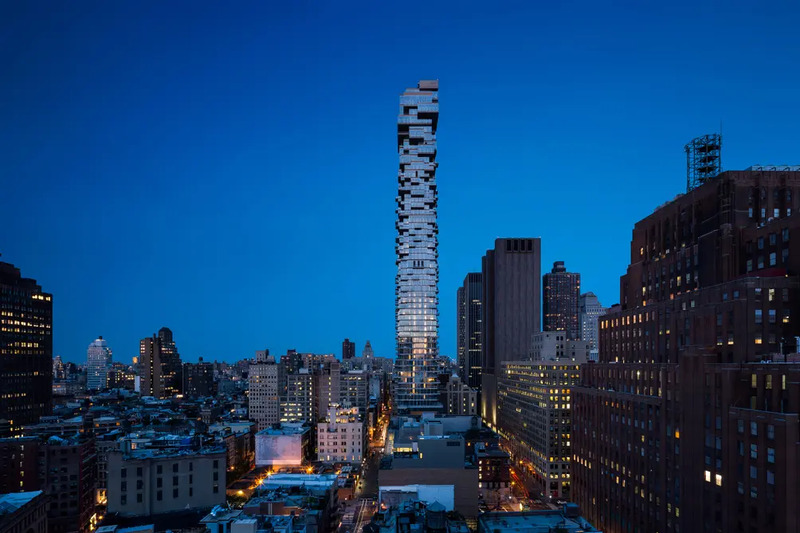 It was designed by Herzog & de Meuron, which designed 40 Bond Street that is famed for its “graffiti” fence in NoHo, and the “birdcage” stadium at the 2008 Olympics held in Beijing. Since it opened in 1907, this dowager and stately hotel has been the epicenter of elegance in the city with its views of Central Park, the Pulitzer Fountain, the aroma of horse-drawn carriages, and the Vanderbilt mansion on 58th Street that was replaced by the more accessible but no less sophisticated Bergdorf Goodman store. After it was acquired in 2008 by El Ad Properties, it was converted to 181 condominium apartments and 282 hotel rooms. The French Renaissance chateau style building was designed by Henry Janeway Hardenbergh. Its famous “Oak Bar” where Cary Grant was mistaken for a government agent in “North by Northwest” is no longer open for drinks and the great Trader Vic’s Polynesian restaurant with its exotic drinks has long since left the basement but the food hall that replaced it subsequently has really wonderful pizza. 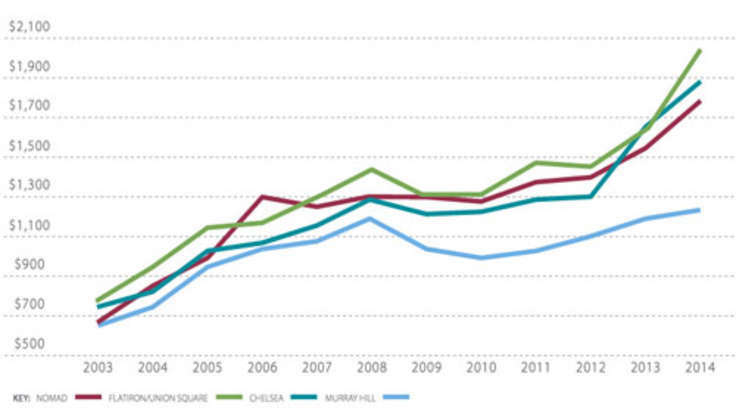 The Zeckendorf family, now led by brothers William and Arthur, has long pioneered rejuvenating neighborhoods and with this very classy development at the junction of Tribeca and the Financial District, has established new highs for pricing genuine luxury apartments and expanding the dreams of other developers to try to follow suit. It is daunting to crowd the sensational Woolworth, but Larry Silverstein is a pro and not wedded forever to his handsome, glassy towers. Furthermore, he noticed that Robert A. M. Stern had great respect for history given his leadership in authoring the 5-volume series on New York architecture and urbanism since the 1880s and therefore would be gentle towards the Woolworth with a new tower on the same block. Philip Johnson once said this was his favorite skyscraper and now that Alchemy Properties has dusted it off in the renaissance of Lower Manhattan, this “Cathedral of Commerce” is regaining its proper respect as a pinnacle of residential perches. 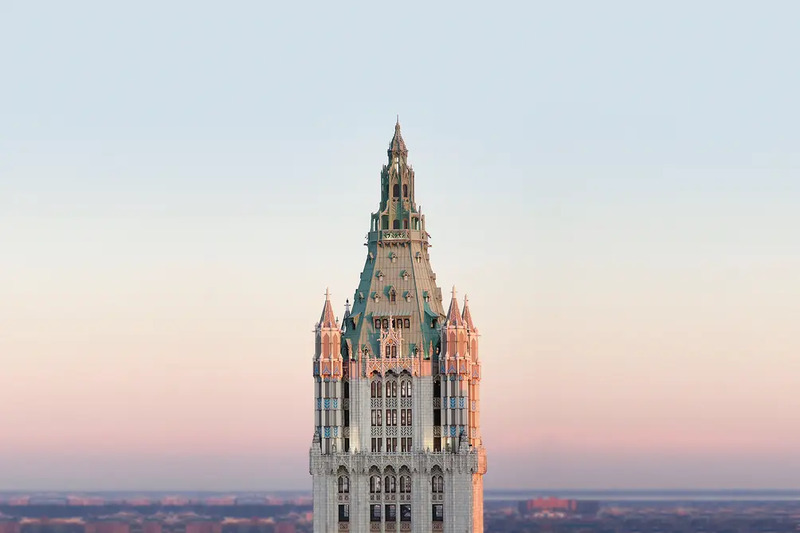 Designed by Cass Gilbert for Frank Woolworth, the 5 and dime king, is no mere Gothic-style office tower but a bedazzling mix of offices and residences in eyries overlooking City Hall. This sheer beanstalk of really smooth concrete facades and giant square windows designed by Rafael Vinoly and built by Harry Macklowe threatened to be awesome but boring until they turned on the lights at night on its five, two-story-high, wind vents that convert the building into the city’s magic wand. While not the first of the new generation of supertalls, its off-center location gave it a lot of prominence during its reign as the city’s tallest residential skyscraper. 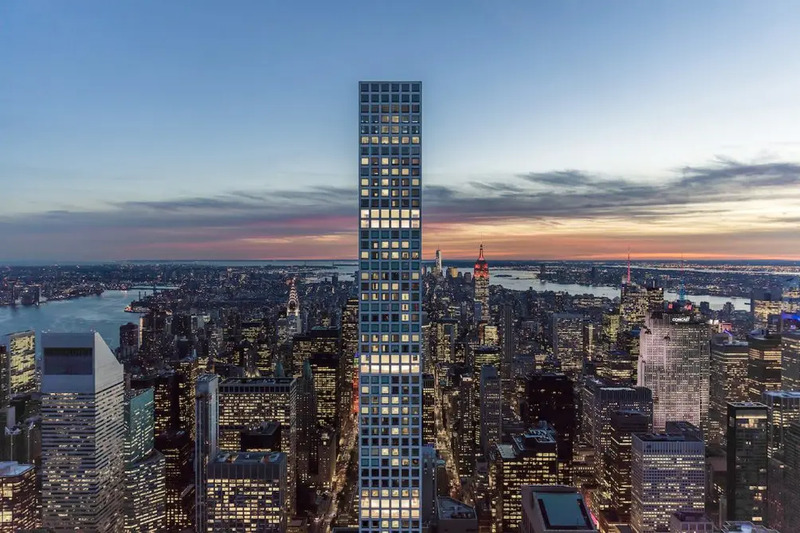 This 953-foot-high tower is about as refined as a svelte and teetering residential building can be even if it is not the tallest of the city’s new crop of supertalls. Robert A. M. Stern, its architect, just gets better with his very elegant apartment buildings that give such a good name to Post-Modern design that they are better than what they lavishly and slavishly imitate. The builder, Vornado, changed directions despite its success with the brash but crisp, mixed-use One Beacon Court on the full block south of Bloomingdale’s.